Whether you are just starting out with the high school or finishing up your college, you cannot disagree to the fact that a student’s life is filled with attending classes, completing your assignments, studying for a quiz, project work, extra-curricular activities and squeezing out the rest of your day to spend time with your friends and family. With so many things going on every day, it becomes hard to keep track of what you should be doing and when. In these situations, a homework organizer or a homework planner app can be a lifesaver to keep track of all your assignments, tests, submission deadlines and exams. While it can be a daunting task to find the right homework planner for your needs, we have gone through all the hassle and done the research so that you can choose the perfect homework planner for yourself. 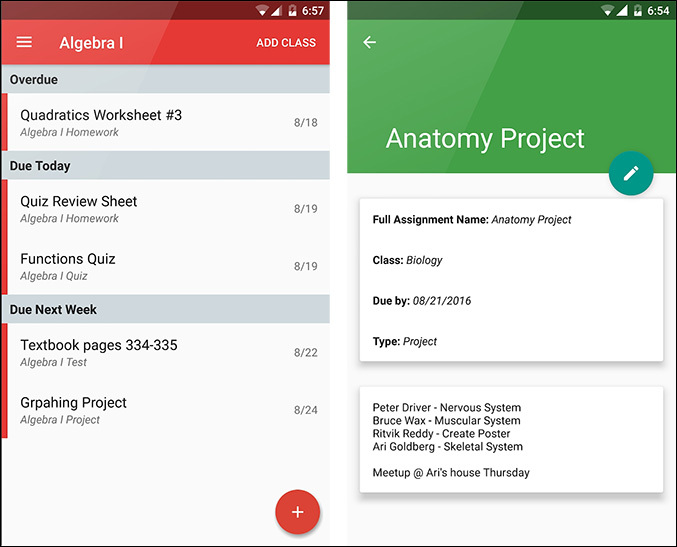 So here are the best homework planner apps available on Android and iOS. The first app in the list is a simple homework and notes management app. It keeps track of homework, assignments, projects, and to-do lists. It is a great app for students at both high school and college level. The layout is pretty minimal, all the tasks are neatly organized with a colored bookmark for easy identification. You can mark a task complete and remove it from the pending list. Courses can be added easily and color coded as well. The calendar shows any upcoming deadlines so you can prioritize accordingly. The tasks have a progress bar which you can adjust as you make progress which enables you to get a quick summary without actually opening every task. You can also break your assignments in small chunks as subtasks which would make finishing a task much easier and the progress bar will fill automatically. It also allows you to attach media files to your assignments or projects for easy access to the important information in one place. Student Planner is a great app for all the students, it has all the necessary features like Deadline reminders, subtasks, progress bar, color-coded tasks, and courses. It can significantly increase your productivity when used regularly. You can get this app for free in the Play Store. Student Planner is another fast and simple homework management app which is wrapped by a beautiful and intuitive material designed UI. What Student Planner adds to the table is the inclusion of a schedule or time table which you can use to either store your class schedule or it might even be a study schedule for your exams. 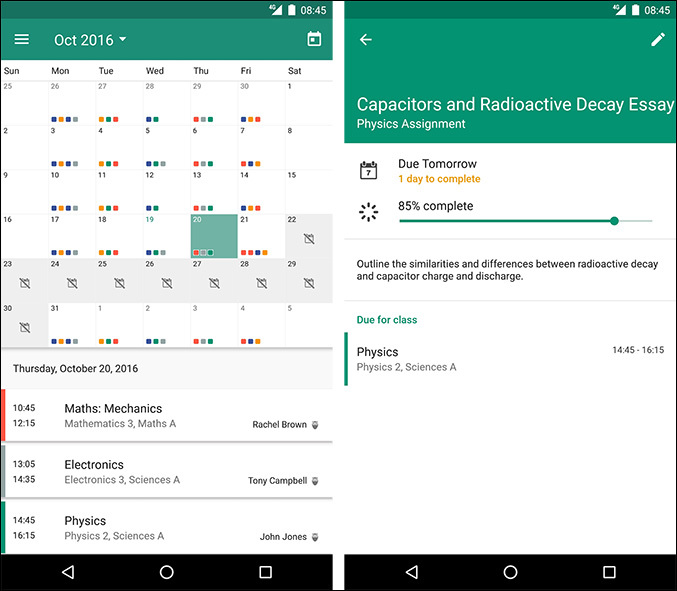 The app is dead simple to use; you first start by adding your subjects and their schedule and then from the assignments tab, you can add an assignment or test reminder for any subject. You can set a particular time, at which the app will remind you every day about the pending work for the next day. The due assignments are arranged as separate cards and can be swiped away once done with. I would recommend this app to anyone who is looking for a simple homework management app with timetable support and a minimal UI. It is fairly easy to get started with the app; you open the app and you can add all the classes or subjects you are taking up. Once that is set up, you have the option of adding a new Homework, Quiz, Project or Test and choose the respective subject deadlines. The app also arranges the due work in cards that can be swiped away when done. But what I love the most about this app is that the fact it allows you to go subject-wise and view all your upcoming tests, projects or pending assignments which is a huge convenience for planning your schedule ahead of time instead of the previous day. 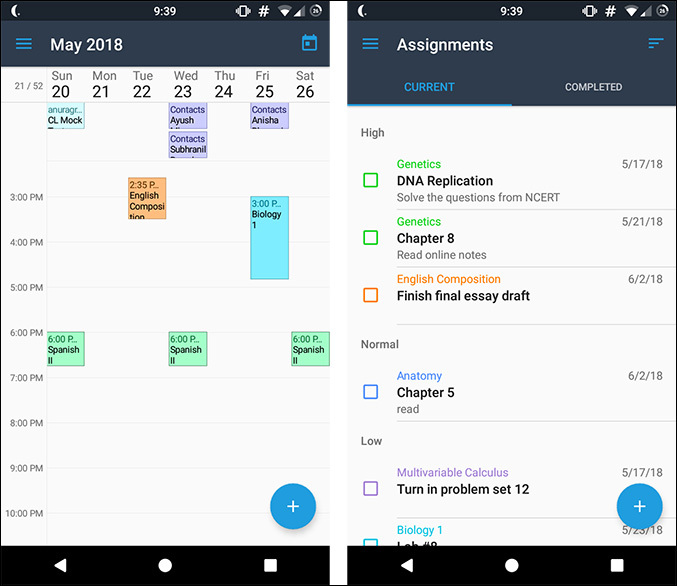 Unfortunately, the app doesn’t have a timetable option, but in its latest update, it added a Calendar View where you can see your whole month at a glance with your assignments, tests, and projects. Egenda provides some great tools for Homework and Test planning and I am sure anyone would find them extremely convenient and useful. But keeping its single con in mind, go for this app if you are not too keen on having a schedule or timetable. The next app on our list is ChalkBoard, which I found out to be a pretty smart homework planner app. Chalkboard strikes a perfect balance between simplicity and features. 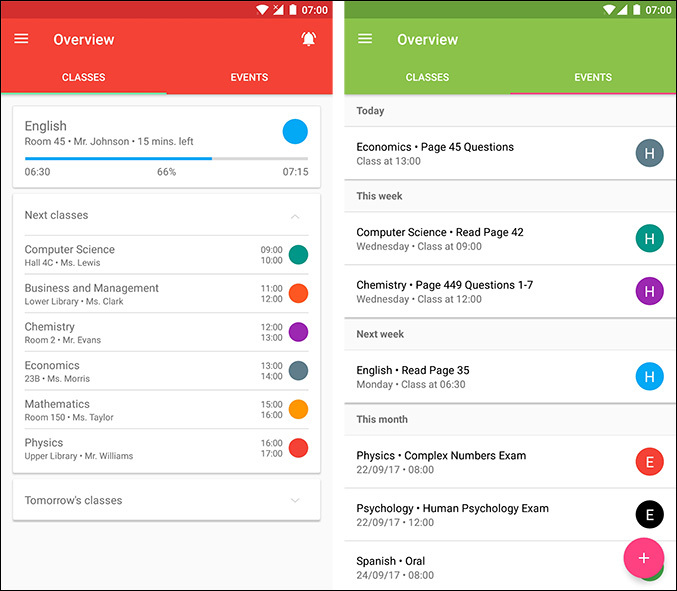 When you open it the first time, the app prompts you to put all the fill up all the subjects with their respective teachers and the subjects in a full timetable. Although the setup process is a little longer than the previous three apps, it is nowhere near tedious and once done, you can really see Chalkboard shine. On the home screen, you are shown your upcoming classes in the Classes tab. The Events tab is where you had over to view your pending assignments or future tests or add any new ones. And for any subject, ChalkBoard fetches the dates you have the next or future classes from the Timetable. Little features like these are which makes the app stand out from the rest and give an overall great experience. You can also view classes and assignments subject wise. Chalkboard feels like a well-polished app and its little smart conveniences make it a delight to use. If you are looking for homework planner as well as school planner, Chalkboard is the app as it strikes a great ground with almost all the features one might need while not being too bulky. School Planner is a full-fledged planning application designed for students to manage their career as a student. 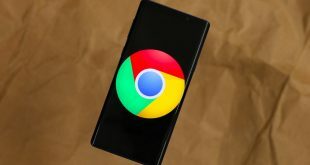 The app is packed with features to the brim and if you can imagine of any feature you might need, this app possibly has that. Along with your homework and timetables, School Planner offers you to keep track of your grades and attendance, add contacts for teachers, add recorded lectures and even multiple planners. The initialization is a bit of a tedious process where you have to enter each and every detail from your term dates to details of your teacher and everything in between. But once that is out of the way, be ready to experience planning your studies like never before. 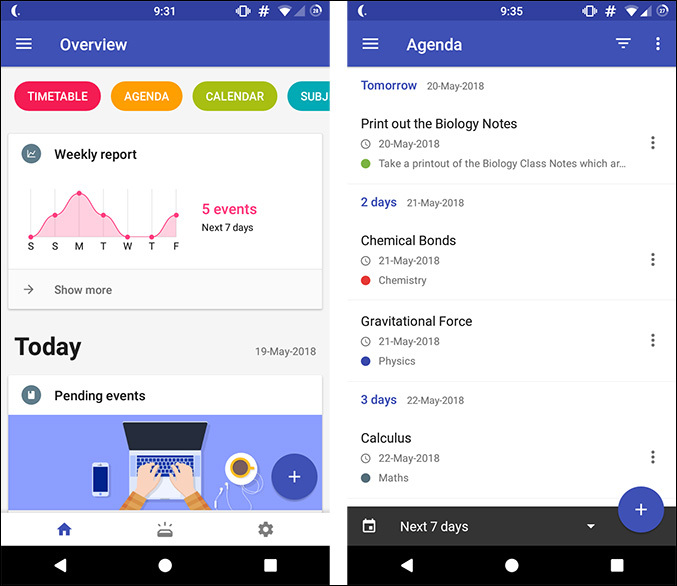 The app supports backing up of all your data via Google Drive, Calendar View along with a weekly report, attaching snapshots to your assignment reminders, student accounts from ClassViva and a lot more. In spite of so many features, the app doesn’t feel slow at all and delivers a powerful performance with its beautiful design. Honestly, School Planner completely amazed me as to how much an app can offer while being completely free. While it is not for someone who is looking for a fast and easy way into homework management, School Planner is a great student companion app and serious students will surely get the most out of hit. 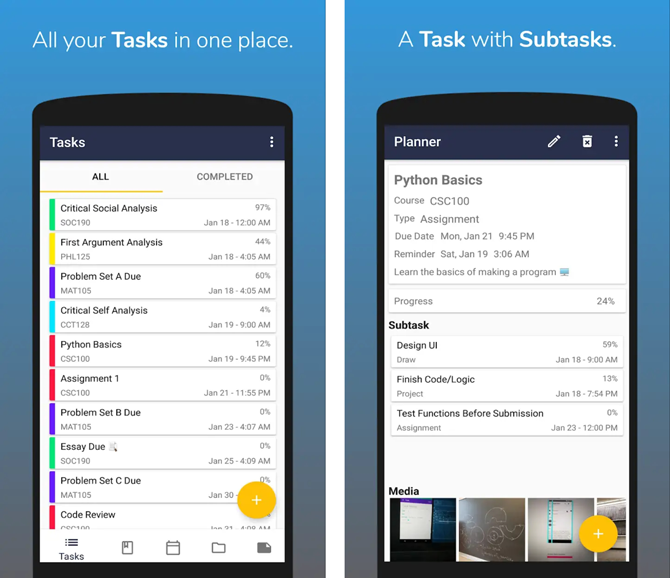 The next app on our list is My Study Life, which is another full-fledged homework management app. 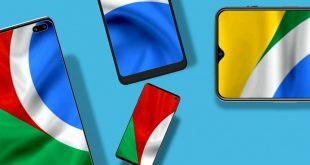 The app also comes with its own web app which makes it all the more unique because the web app syncs with the one on your Android phone, essentially making your data accessible from any device as long as it has a browser. 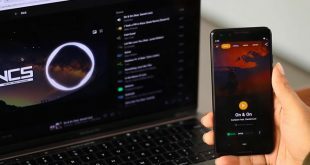 The app offers a refreshingly new take on the UI; instead of card-based tasks, it takes its cues from fitness apps and has implemented a goal-centric circular tracker which shows how much you have completed and how much is still left. Also, the calendar view combines your timetable and deadlines and shows all your classes and assignments, projects in a single place. If you study from your computer or laptop, My Study Life makes it easy to access your homework planner on your phone from your computer, while not compromising on features and being completely free. What more can you ask for? iStudiez Pro is yet another no-compromise student companion app and probably the oldest app on this list in terms of being released. Like School Planner, this app too is feature packed to the brim including grading and subject wise organization of tasks, although the setup process is a lot shorter. But iStudiez Pro takes it further up a notch with the calendar in the app being completely integrable with the Google Calendar which allows you to directly get all your holidays, exam schedule, routine from Google Calendar itself. It also offers separate apps on all platforms including iOS, Mac and Windows. All the apps sync seamlessly between themselves, so studying on your computer consulting your planner won’t be an issue. iStudiez Pro is definitely a great app for overall managing your studies, assignments and exams but with all these other apps which offer a similar experience if not better at no cost, iStudiez Pro becomes hard to recommend. But if Google Calendar integration and cross-platform support is a must for you, iStudiez Pro is definitely the app you want. 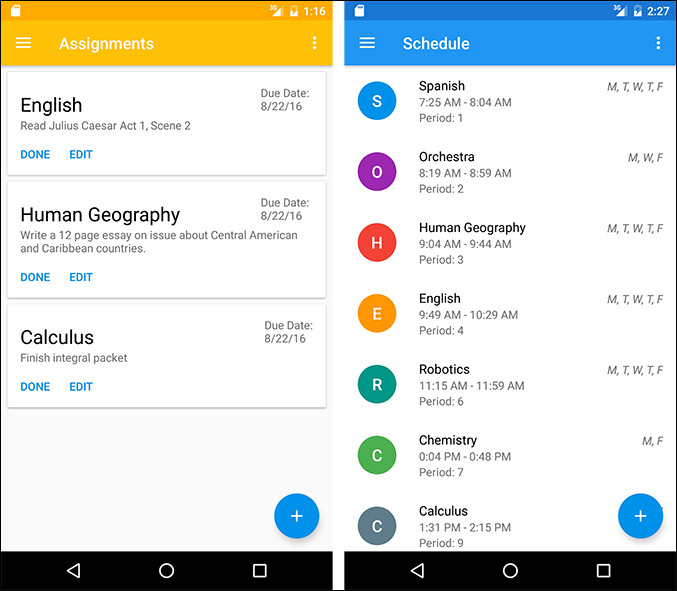 So this was our roundup of the best homework planner apps for Android. We genuinely think that there is an app for every need and we hope that you found a Homework Planner that suits your need whether you are a high school student or a college senior. So which one was your favorite or did we forget to add yours? Let us know in the comments below.